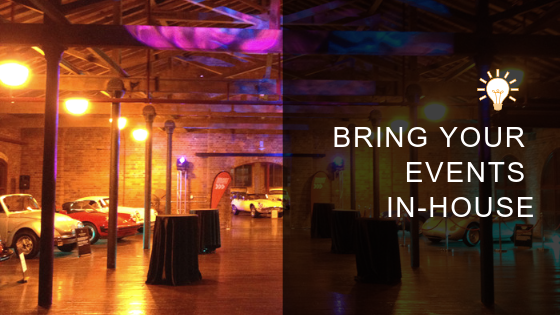 More and more organisation are making the move to host events in-house. Effectively creating a community hub for their staff and their clients. You too can bring your events in-house. By simply retrofitting your meeting rooms with brand new audio visual installations, designed to improve productivity and boost collaboration on a day to day basis your organisation can also create an internal hub that will attract your staff and clients not only during work hours but after work connection and collaboration. If your organisation is still relying on old-fashioned whiteboards and overhead projectors, then it might be time to consider what you could stand to gain by talking to a professional team of audio visual installers. Here at Pro Light & Sound, we can transform your boardroom or meeting room into a hub of communication, from which employees can more effectively communicate with those both local to them and on the other side of the earth. We can help you identify the right technology solution to suit the needs and budget of your organisation, and will work with you to achieve maximum performance and reliability. Presentations and pitch meetings will be brought to life thanks to AV technology that is easy to operate and designed specifically for the needs of the modern Australian business. Furthermore, we can make your system as automated as possible by integrating all the elements of the room and installing easy-access wall panels. This way, staging a presentation will be as simple as pressing a single button that will automatically bring down the lights, start the projection, activate the sound system and close the blinds. It is even possible to operate your system via iPhone app controls – the perfect solution in an increasingly mobile world. To find out more about how a new audio visual installation in your conference room might benefit your business, talk to the experts at Pro Light & Sound today.